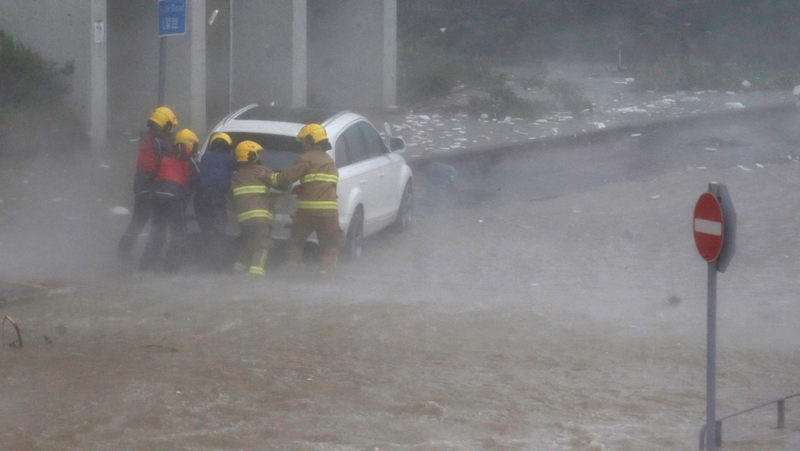 Hong Kong and southern China took cover on Sunday as strong winds and heavy rain from Typhoon Mangkhut lashed the densely populated coast, a day after the biggest storm to hit the Philippines this year left at least 64 people dead. Two more people were killed as the storm made landfall in southern China, according to Chinese state broadcaster CGTN. More than 2.4 million people had been evacuated from seven cities in Guangdong province of China, according to The Associated Press news agency. In Hong Kong, authorities warned people to stay away from the Victoria Harbour landmark, where storm surges battered the waterfront reinforced with sandbags. The gambling enclave of Macau, meanwhile, closed its casinos for the first time, according to the South China Morning Post, as nearly 50,000 fishing boats were called back to port. 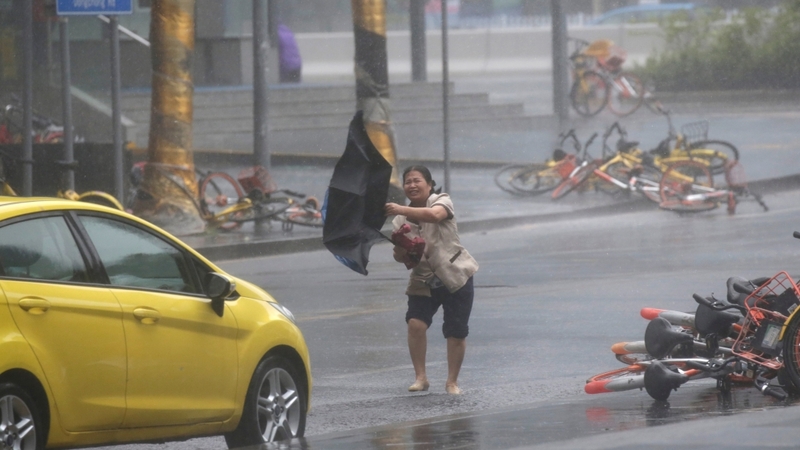 Mangkhut made landfall in Guangdong around 5pm local time (09:00 GMT) on Sunday, packing wind speeds of 162 km/h, while 10-metre-high waves battered the coastline. The national meteorological centre said southern China “will face a severe test caused by wind and rain” and urged officials to prepare for possible disasters. A video reportedly filmed in Hong Kong’s Kowloon area showed scaffolding collapsing at a building site. Fuelled by the warm waters of the South China Sea, the typhoon will begin to lose power now it is overland and will be reclassified as a tropical storm. However, flooding over its forecast path is expected to be extensive as heavy rain falls out of the declining cyclone. In Gyangdon, 250mm of rainfall is expected over the next 24 hours, with some pockets of 400mm. 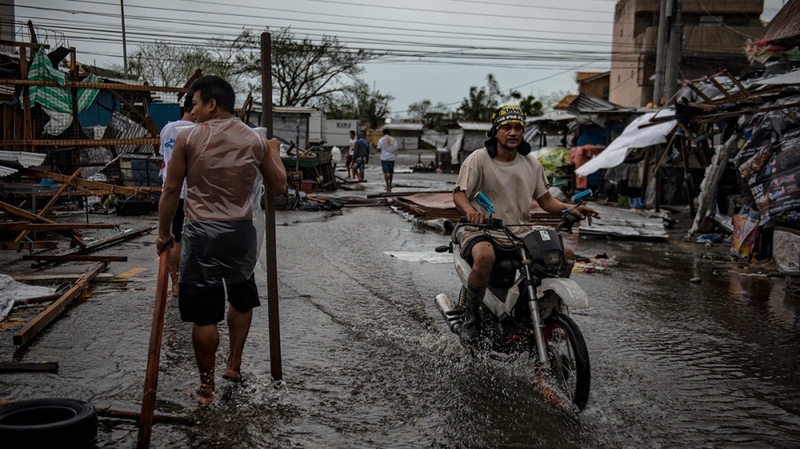 In the Philippines, the death toll of Mangkhut jumped to 64 on Sunday as more landslide victims were discovered. Most were killed in landslides in or near the Cordillera mountain region, AP reported. At least 40 people, mostly gold miners, got trapped in a landslide in the country’s north. Police superintendent Pelita Tacio told AP that a part of a mountain slope collapsed on the miners’ homes in a far-flung village of Itogon town in Benguet province as winds and rain pounded the gold-mining region on Saturday. Rescue efforts are being hampered by rain and mud but search operations are expected to resume at daybreak on Monday, according to Victorio Palangdan, the mayor of Itogon. Palangdan told reporters that up to 100 people in the Philippines are feared dead as a result of the typhoon. Al Jazeera’s Jamela Alindogan, reporting from Cagayan province, said the storm cut off power and communications in the city of Tuguegarao and devastated rural communities in the region. 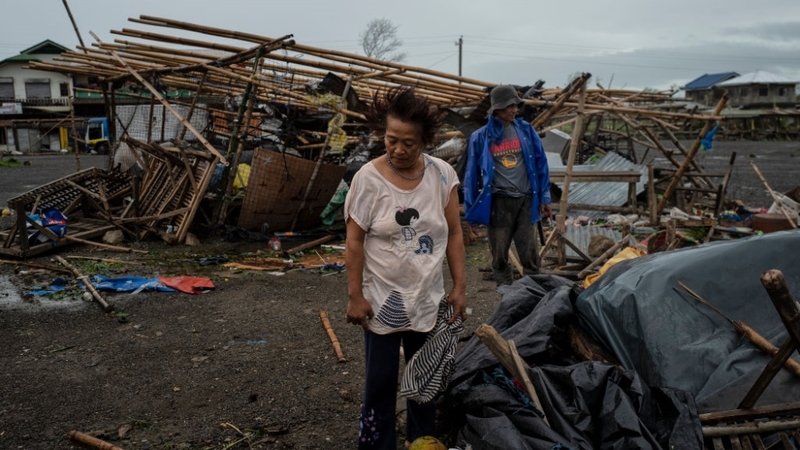 In Cagayan’s capital, Tuguegarao, where the typhoon hit land, Associated Press journalists saw a severely damaged public market, its roof ripped apart and wooden stalls and tarpaulin canopies in disarray.